MARGARET HARSHAW (1909-1997) was born in Narberth, Pennsylvania, just outside of Philadelphia, and made her professional debut as Azucena in Giuseppe Verdi’s Il trovatore with The Philadelphia Operatic Society in 1934. Harshaw won the Metropolitan Opera’s ‘Auditions on the Air’ in 1942 and made her debut as the second Norn in Richard Wagner’s Götterdämmerung. Gifted with an extended range, Harshaw sang mezzo-soprano roles for nine seasons before entering the soprano territory in 1951 when she sang the role of Senta in The Flying Dutchman. By 1954, she had inherited the mantel of Kirsten Flagstad and Helen Traubel, singing all the leading Wagnerian dramatic-soprano roles; including Isolda, Brünhilde, Elisabeth, Kundry and Sieglinde. Harshaw retired from the Metropolitan Opera in 1964 having sung 38 roles in 375 performances over 22 consecutive seasons: more Wagerian roles than anyone in history. Harshaw became a professor of voice at Indiana University in 1962, where she taught until 1993. She also taught at the Curtis Institute of Music and Westminster Choir College. Among her many students are Benita Valente, Vinson Cole, Matthew Polenzani, John Reardon, Michael Sylvester, Jan Opalach, Shirley Love, Katherine Ciesinski, Laura Brooks-Rice, Elem Eley, Thomas Faracco, Randal Turner, Laura Aikin, David Langan, Glenn Seibert, Richard Best, William Burden, Sharon Sweet, Nadine Secunde, Kevin Langan, Sally Wolf, Alan Cemore, Nancy Maultsby, Emily Magee, Franz Grundheber, Pablo Elvira, Evelyn Lear, and Teresa Stratas. ANNA E. SCHOEN-RENÉ (1864-1942) became a student of Pauline Viardot-García in Paris after first studying with Francesco Lamperti in Milan. Having been prepared for an operatic career by Viardot-García, Schoen-René traveled to New York City in 1893 to make her debut at the Metropolitan Opera, but became seriously ill during the crossing. She spent the next three years recovering at her sister’s house in Minneapolis, where she began teaching voice: conducting a choral union that lead to the foundation of the University of Minnesota music department and acting as impresario to famous musicians from Europe. Schoen-René became an American citizen in 1906, taught in Berlin until the First World War, and joined the Juilliard School faculty in 1925. Her memoir America's Musical Inheritance: Memories and Reminiscences was published in 1941. Considered the leading voice teacher of her time, Schoen-René taught classical and popular singers, including Lucie Manén, Florenzio Constantino, Risé Stevens, Mack Harrell, Kitty Carlisle Hart, Judith Doniger, Hugh Thompson, Minna Tulchin, Evan Evans, Frosia Gregory, Lanny Ross, Ludwig Wüllner, Putman Griswold, Ruth Berg, Elizabeth Delius, Helene Augay, Mady Christians, Richard Malkin, Viola Philo, Robert Geis, Robert Parker, Arthur de Voss, Marshall Bartholomew, Ruth Schaffner, Alice Howland, Eleanor Steele, Hall Clovis, Charles Welch, Hallie Stiles, Arturo di Fillipi, Celius Dougherty, Alice Sjoselius, Lillian Flickinger, George Meader, Jane Pickens, Sonia Essen, Paul Robeson, Anny Konetzni, Thelma Votipka, Lillian Blauvelt, Lanny Ross, Florence Easton, Karin Branzell, Florence Austral, Charles Kullman, Marie Tiffany, Maria von Maximovitch, Julius Huehn, Eva Gauthier, George Britton, and Margaret Harshaw. 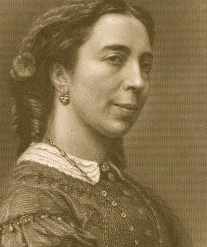 PAULINE VIARDOT-GARCÍA (1821-1910) was the youngest child of the Romantic tenor and vocal pedagogue Manuel García I (1875-1832) who died when she was eleven. Her sister was the legendary mezzo-soprano Maria Malibran, and her brother Manuel García II, the 19th century’s most famous vocal pedagogue who considered Viardot-García “the real genius of the family.” She spoke nine languages fluently without accent. Viardot-García originally wanted to become a concert pianist and studied with Franz Liszt before turning her attention towards the voice at the insistence of her mother Maria-Joaquína García-Sitchez (1780-1854) who became her teacher. With an extended range like her sister Maria, Viardot-García was a mezzo-soprano who also sang soprano repertoire. Renowned for her prodigious vocal technique and dramatic interpretation, Viardot-García created the role of Fidés in Meyerbeer’s Le prophéte and revived the role of Orpheus in Gluck’s Orfeo e Euridice in which she appeared 150 times. A consummate artist, she was known to fellow musicans as The Oracle of Paris for her wise counsel. Her students included Désirée Artot, Jeanne Gerville-Réache, Félia Litvinne, Marie Litta, Pauline L'Allemand, Hope Glenn, Aglaja Orgéni, Anna E. Schoen-René, Antoinette Sterling, Annie Louise Cary, Ada Adini, Lydia Iretskya, Natalia Iretskaya and Marianne Brandt. MANUEL GARCÍA II (1805-1906) recorded his father’s method in his groundbreaking book A complete treatise on the art of singing (1847) and became world-renowned after being the first person to observe the action of the vocal folds during singing with a primitive laryngoscope. Because his father had studied with the famous tenor Giovanni Anzani—a student of the great 18th century voice teacher Nicola Porpora—García is credited with preserving the precepts of the old Italian school in physiological terms. García taught at the Paris Conservatoire in Paris and then at the Royal Academy of Music in London, his earlier teaching being later condensed in Hints on Singing (1894). His students included Mathilde Marchesi, Julius Stockhausen, Prosper-Alphonse Bussine, François Wartel, Arnoldi, Agnesi, Jules Barbot, Gustave-Hippolyte Roger, Charles Battaile, Saint Yves Bax, Henry Wood, Jenny Lind, Marie Tempest, Camille Everardi, Charles Bataille, Christina Nilsson, Charles Santley, Henrietta Nissen, Antoinette Sterling, Catherine Hayes, Herman Klein, and Anna E. Schoen-René. FRANCESCO LAMPERTI (1811-1892) was considered the most successful teacher of the old Italian school in Italy during the 19th century. The son of an Italian singer of some reputation, Lamperti began his legendary career as a vocal maestro accompanying singers in Antonio Trivulzi's studio at the Conservatory of Milan at the age of twelve. After inculcating Trivulzi's method for eight years, Lamperti created his own opera agency. His success was immediate and he became known as the "Key of the Throat." Though he later taught at the Conservatory in Milan, his private students were his chief occupation. Lamperti wrote several books on singing, his best known work translated into English as A Treatise on the Art of Singing (1877). His many students included Salvatore Patti and Caterina Barilli, the parents of Adelina Patti, as well Adelina's sister Clotilde. He also taught Ortolani Tiberini, Angelica Moro, Paganini, Galli, Risarelli, Angeleri, Peralti, Emma Albani, Campanini, Stolz, Waldemann, Aldigheri, Vialletti, Derevis, Mariani, Palermi, Camille Everaldi, Le Grange, Cravelli, Alboni, Marie Van Zandt, Désirée Artot, Aglaja Orgeni, Taliana, Sophie Lowe, Nachbauer, Robinson, Reichmann, Woeldechen, Naudin, Derivis, Galassi, Alvary-Achenbach, Emma Thursby, Gayarre, Aramburo, Perotti, Edward Scovel, Sim Reeves, William Shakespeare, Hope Glenn, Carlotta Elliot, Herbert Thorndyke, Barrington Foote, Giovanni Battista Lamperti, and Anna E. Schoen-René.